Brian J. Esposito - BJE Law, P.A. 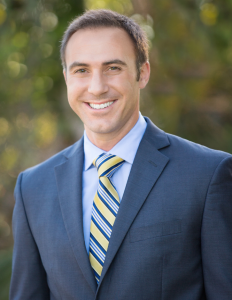 Brian J. Esposito is the founder of BJE Law, P.A. The emphasis of Mr. Esposito’s practice includes representing victims of auto accidents and wrongful death claims. Brian Esposito was born in Queens, New York. He was admitted to the Florida Bar in 2008. Brian earned his Juris Doctor from the Stetson University College of Law in Gulfport, Florida and received a Bachelor of Arts Degree in Psychology from Hofstra University in Hempstead, New York. He joined an Insurance Defense Firm in 2012 to better understand how large insurance companies defend against accident victims. This experience allowed Mr. Esposito to better prepare his cases from the injured’s standpoint. While employed at this Firm, he handled hundreds of cases in litigation. Prior to his insurance defense experience, Brian was a Criminal Defense attorney in the Seventh Judicial Circuit where he represented clients in cases punishable from five years to life in prison. From this experience, Mr. Esposito conducted numerous jury trials, non-jury trials, and motion hearings. Mr. Esposito is an aggressive attorney who is not afraid to go to trial! Mr. Esposito is the co-founder of the University of South Florida’s Legal Aid Clinic. In his spare time, Brian volunteers and provides free legal advice to students attending the University of South Florida. This Clinic is designed to offer free consultations to students from Tampa Bay area attorneys. Currently, Brian resides in Tampa, Florida with his wife, Mary. Outside the office, he enjoys hiking with Mary, cooking, playing soccer, basketball, tennis, and being actively involved in the Tampa community.